Mahindra is here again, this time with a grand MUV Mahindra & Mahindra XYLO in its kitty that has a robust and an aggressive look that will have a very appealing effect on the MUV lovers. 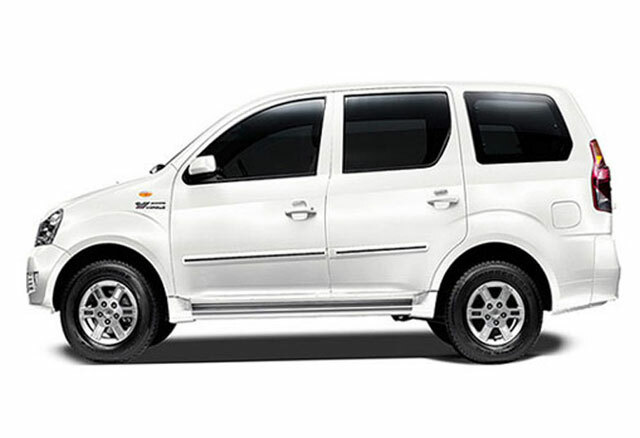 Mahindra & Mahindra XYLO is a classy high end MUV with ultra sporty looks. The Mahindra & Mahindra XYLO is a dynamic car with many advanced features that not only add the comfort element in the car but also an array of safety measures attached to it. Gone through remarkable model revamp Mahindra & Mahindra XYLO has become a hot cake in this segment. Our 06 Seater Mahindra Xylo, with the capacity of 06 persons or less excluding 1 seat for chauffer are the one of the unsurpassable luxury transport available in India. Our 06 seater Luxury Van services are accessible in almost Jaipur and Rajasthan Tour. You must have heard of comfy seats in sedans. These flatbed front seats let you travel fully stretched.